Gene Brown's practice emphasizes complex civil litigation, including products and premises liability, commercial, labor and employment and environmental and toxic torts. 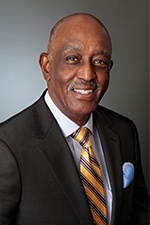 He represents public entities in actions alleging civil rights violations such as police excessive force, age and race discrimination, and sexual harassment, as well as automobile manufacturers, contractors, medical providers and consumable products manufacturers. Gene is an exceptional trial attorney, having successfully tried to verdict in excess of 100 complex actions in California, as well as other jurisdictions throughout the United States. He has appeared before the Supreme Court of New York and the United States District Courts in New York, Nevada, Arizona, Texas and Mississippi. Gene's professional achievements are recognized by his peers as he has achieved Diplomate status, and is a past president of the San Francisco Chapter of the American Board of Trial Advocates (ABOTA), a Fellow of The American College of Trial Lawyers, The International Academy of Trial Lawyers, The International Society of Barristers, and the Litigation Counsel of America, by invitation only. He is a member of the American Bar Association (ABA) Standing Committee for the TIPS Trial Academy, an active faculty of the ABA/TIPS ABOTA Trial Academy and an active faculty member of the ABOTA National Trial Academy. Gene presents regularly as a lecturer and panelist on trial practice. Before joining Hinshaw, Gene practiced for nearly five years at a San Francisco-based international firm and chaired its Complex Litigation Practice Group. Gene previously founded a litigation firm in Oakland, CA, where he practiced for over a decade. Before that, Gene spent nearly two decades at an Oakland trial litigation firm. Vinson v Peralta Community College District, Alameda County Superior Court, defense of sexual harassment. Cortez v Telecheck, International, Alameda County Superior Court, age discrimination, wrongful termination. Cropsey v. Ensign Montgomery et al, Sonoma County Superior Court, disability discrimination/wrongful termination. DSC v Negrin, U.S. District Court for the Eastern District of Texas, copyright infringement/patent defense. Oliver v Western MacArthur Co., San Diego County Superior Court, product liability. Guyton v BARTD, Alameda County Superior Court, civil rights defense. Jones v Bogard Construction, Alameda County Superior Court, mold contamination. Haskell v Conoco Phillips Co., Contra Costa County Superior Court, breach of contract. Sacco v TOSCO Corp. et. al, San Joaquin County Superior Court, birth defects, chemical exposure. Bulnes v CalTrain, San Mateo County Superior Court, wrongful death, 16 year old, rail-crossing. Wright v Ford Motor Company, Holmes County Mississippi, product liability. Russell v Ford Motor Company, Los Angeles County Superior Court, product liability. Ledford v General Motors Corporation, Los Angeles County Superior Court, product liability. Gunderson v Union Oil Company of California, San Francisco County Superior Court, premises liability defense. Gene has presented at the American Conference Institute on several occasions, speaking on chemical exposure and disease. He also presents on genomic matters at the Chemical Manufacturers Association annual meeting.